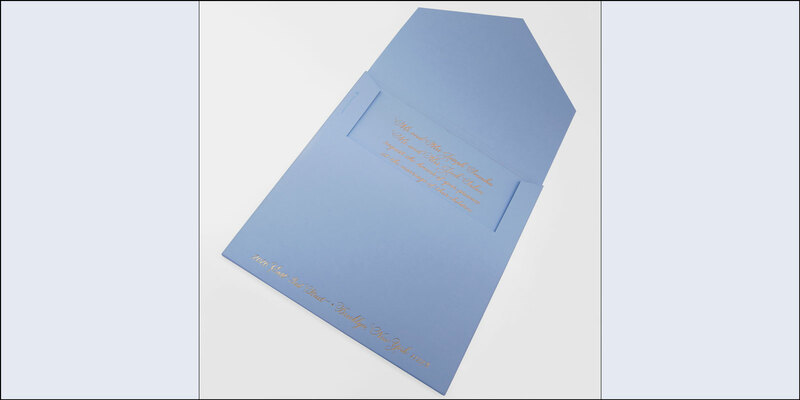 This elegant blue invitation is really incredible. At 9″ square invitation, and about 1/4″ thick, this invitation is on the thicker and larger side of the invitations we have made. 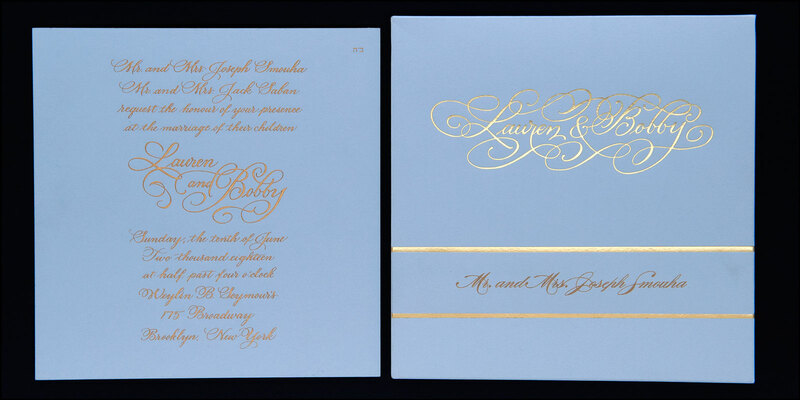 Because this was a June wedding, Lauren & Bobby went with a light blue color and chose to engrave their invitations in gold and foil stamp their envelopes in gold. 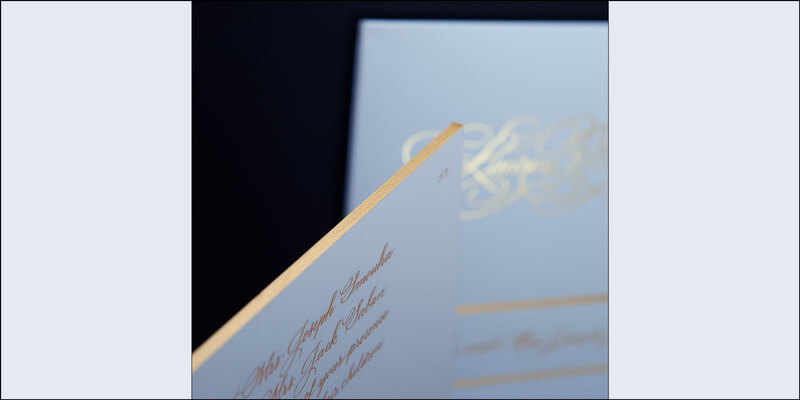 This extra thick invitation’s edges are gilded in satin gold foil to match. The envelope for this invitation is actually more of a box in order to accommodate the thickness of the invitation. 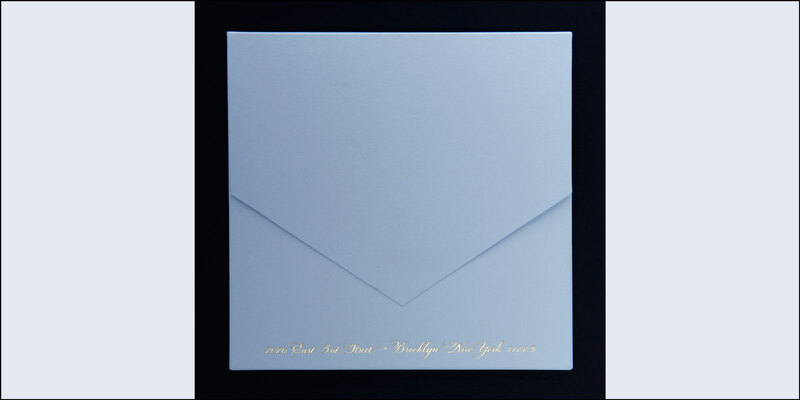 The envelope has two gold foil bars printed on its face, in between which we mounted a label with their guests’ names. These invitations were packed into individual cellophane bags and hand-delivered to each guest.